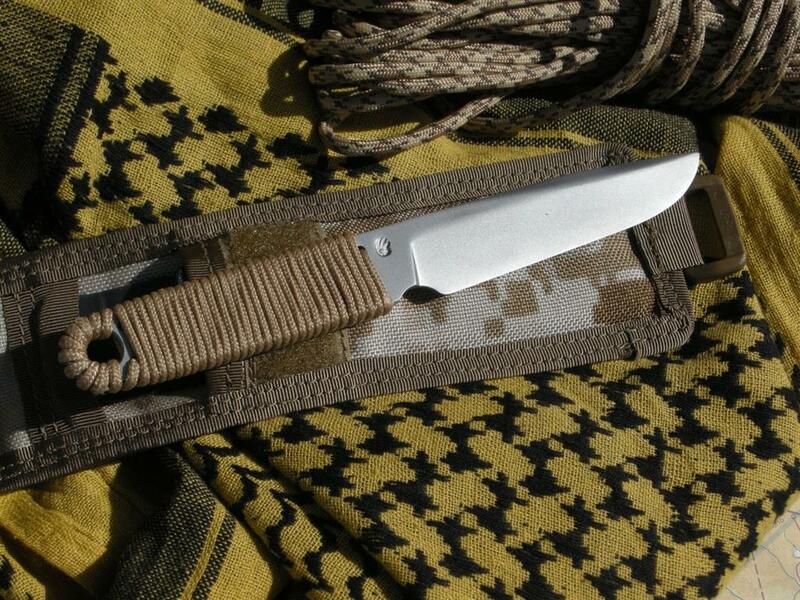 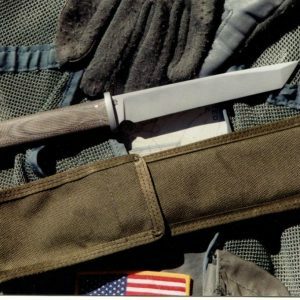 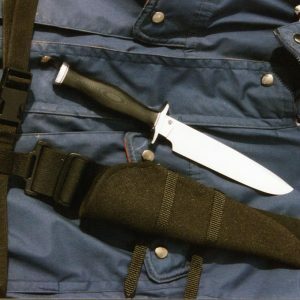 Kwaito 2, 3 1/2″ blade, Forged 3/16″S35VN, Tapered tang, Nylon Cord wrap handle, 7 3/4″ o.a. 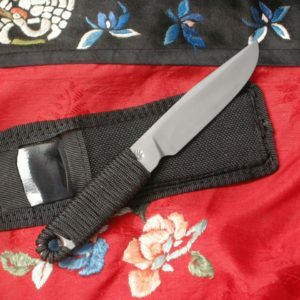 rounded or chisel point. 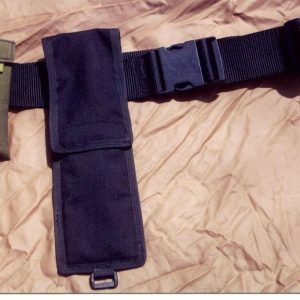 With Kydex-Cordura sheath.